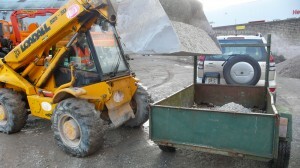 No need to order, just collect your load of readymix concrete today! 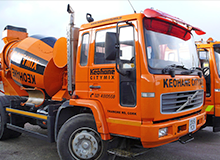 Do you need a load of ready mix concrete, sand or a couple of our pre cast products straight away? 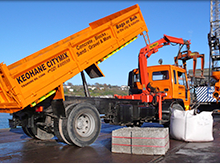 While we aim to delivery every order as soon as possible, customers can also call to our yard on the Tramore Road and collect whatever they need without delay. Our JCB will load any trailer van or truck in no time and we also have a fork lift and block grab on hand to ensure that all our products are convenient for collection at all times. Our experienced and friendly staff will ensure flexibility, a quick turn around and advice – even outside office hours – though we would generally recommend ringing ahead for larger volume orders.